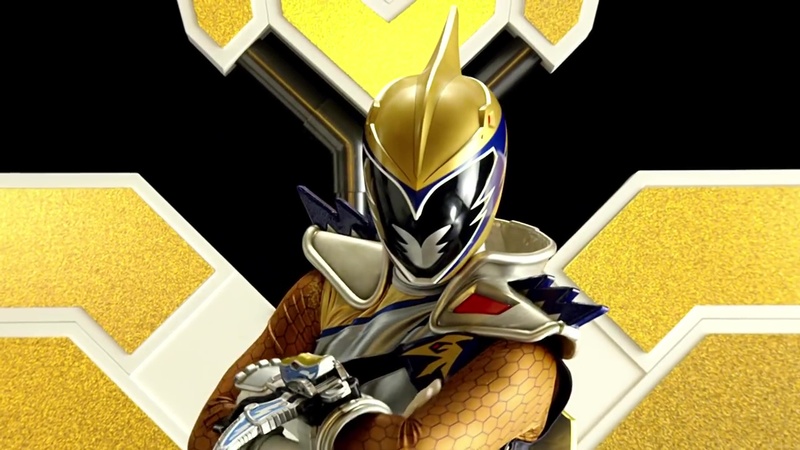 Recap: Power Rangers Dino Force Brave, King (Episode) 4 – Threat! Space Mercenary! The Rangers are training in the forest. Sechang works with Dohee while Hyunjun works with Pureun. Juyong decides to go for a lap. Up on the NeoDeboth ship, Juhyeok is paid his gold confirming their contract so he gets started with his job. He confronts the Rangers (minus Juyong) and introduces himself as a space mercenary and dino hunter who will be eliminating them. 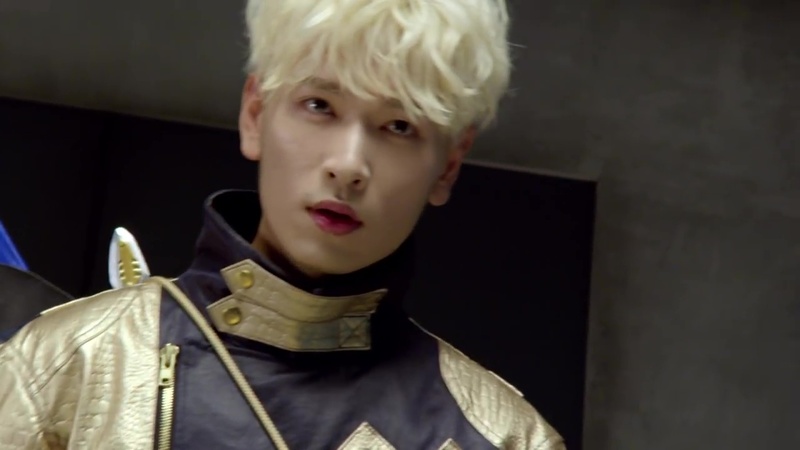 Juhyeok pulls out his Pteravolt Dino Cell and morphs into the Gold Ranger. Sechang, Dohee, Hyunjun and Pureun quickly morph. 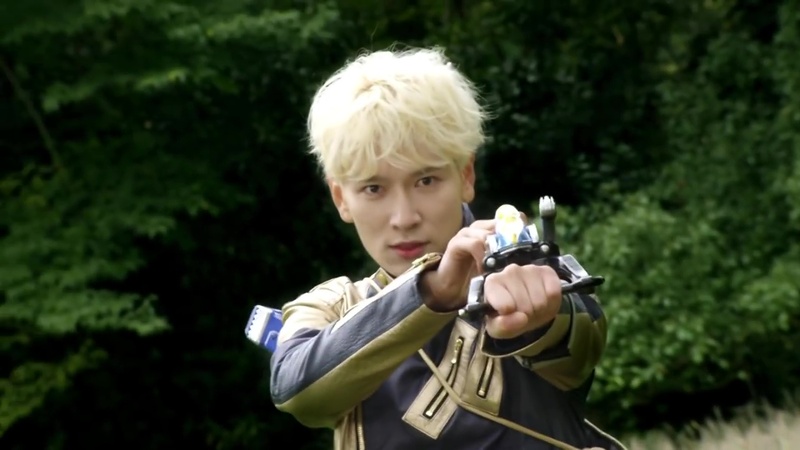 But Juhyeok is much too powerful for them and with a Brave Finish Lightning Afterglow attack, he sends them flying. Juyong arrives and gets powered up by Cannontyra. He is able to stand up a little better to Juhyeok. “Is that all you’ve got,” Juhyeok asks. Juyong has a quick flash of training with his older brother when they were kids. 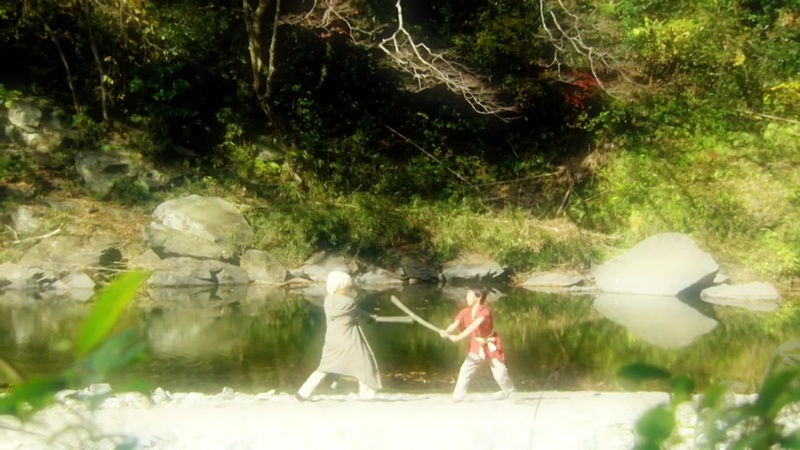 Juyong and Juhyeok continue their battle with Juyong able to withstand the attacks. Juhyeok sends a finisher at Juyong, but Cannontyra arrives to protect him. Juhyeok then summons Pteravolt and hops in. The Rangers all hop into their zords and form Brave Tyranno King. Juhyeok initiates Pteravolt to morph into Brave Ptera King. The zords battle have an epic battle, but Juhyeok unleashes a Brave Finish that knocks Brave Tyranno King to the ground. He flies away immediately after. Everyone up on the ship are confused why Juhyeok didn’t finish the Rangers off. Juhyeok says this is as far as their contract goes. Killing the Rangers will cost extra. Back at the Spirit Base, they wonder just who Juhyeok could be. Torin can’t believe someone could be able to handle Pteravolt. 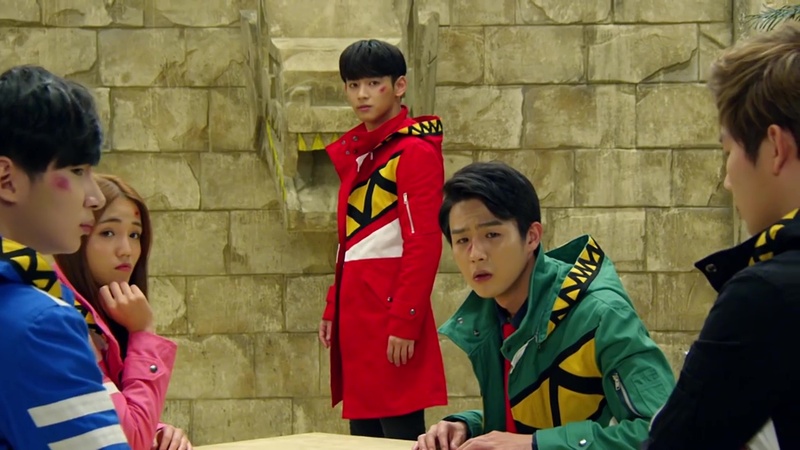 Juyong is deep in thought, thinking about what the mysterious Gold Ranger said to him. 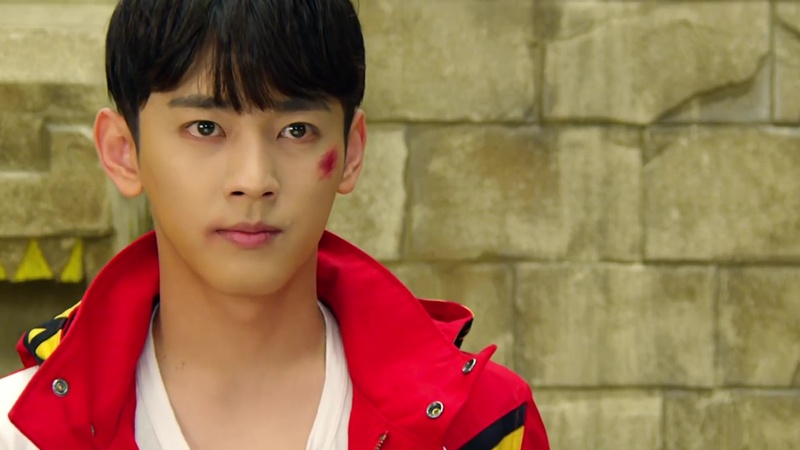 Dohee thinks the Gold Ranger must be into money so Pureun suggests they pay him more to get them on their side. Sechang doesn’t want bribery to taint his image. Hyunjun says regardless, they’ll have face him again soon. Juyong is sure they will defeat him. 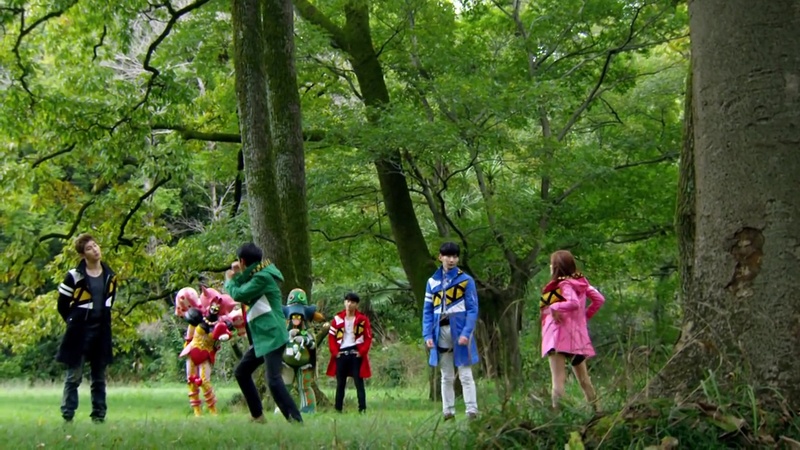 This definitely felt like the most typical Sentai episode of the four so far. Just a kind of procedural-type episode, progressing the story to set up the next big event. And I assume that’ll be the reveal of Juhyeok’s true identity and intentions. But the highlight of this episode really was that full on CGI zord battle. I thought it was done very well. A little video gamey at parts, but absolutely fun and fresh. It also allowed the zords to be more fluid in motion. Though at the same time, robots aren’t supposed to be too fluid I guess. Still, it was fun. ← Recap: Kamen Rider Ex-Aid, Episode 29 – We're Me? !